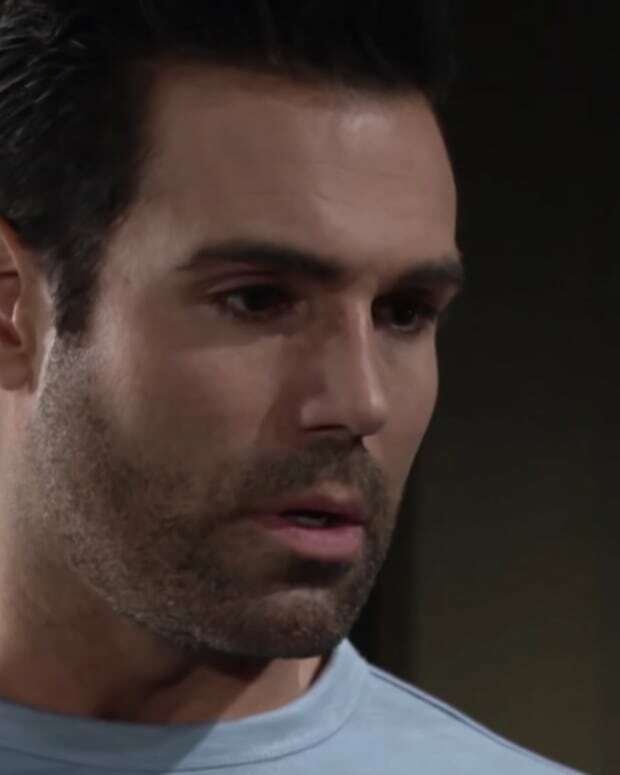 Rey/Sharon/Mia: The coffee house maven (Sharon Case) starts to wonder if she really does have a chance and a future with Genoa City&apos;s top cop (Jordi Vilasuso). Later, look for Sharon to call out Rey&apos;s scheming, estranged, social climbing wife Mia (Noemi Gonzalez) when the two have yet another run in. Will Rey and Sharon have their happily ever after? Paul: The Genoa City police chief (Doug Davidson) gives Rey another chance, but is still suspicious of him. Lauren: The Fenmore&apos;s heiress (Tracey Bregman) is out to save her family&apos;s business from the war brewing over at Jabot. Jack: Old Smilin&apos; (Peter Bergman) is once again outmaneuvered by his little sister Ashley (Eileen Davidson). It seems Jack wants to restart the Jabot men&apos;s line, but he learns from Billy (Jason Thompson) Ash is also creating one for her company. Jack questions how in the world Ashley knew they were going to do the same. Jack starts to grill everyone who was privy to the decision they made, and wonders if one of the Abbotts accidentally let slip what they were up to. A frustrated Jack rips up the gift box Ashley sent over to him only to discover she has a listening device inside! Jack is livid at the lengths Ash would go to destroy him. He decides if you can&apos;t beat them, join them! Will this latest development tear Jabot and the Abbotts apart once more? Abby: The Newman Abbott hybrid (Melissa Ordway) gets ready for the big night she and Devon (Bryton James) have coming up for their new business venture. Billy/Victoria: The Abbott black sheep and the Newman heiress (Amelia Heinle) still have that old feeling between the two of them. Does this mean Victoria is starting to heal mentally from the trauma she suffered from J.T. (Thad Luckinbill)? Nikki: The socialite (Melody Thomas Scott) discovers a shocking secret. Will Nikki clue Victor (Eric Braeden) in or go it alone once again?